LIKE YOU, I collect tiki mugs and related exoticabilia. Unlike you, I’ve done so for ages. I’m not some Ionakana-Come-Lately who just started a few years ago when it became wildly trendy. 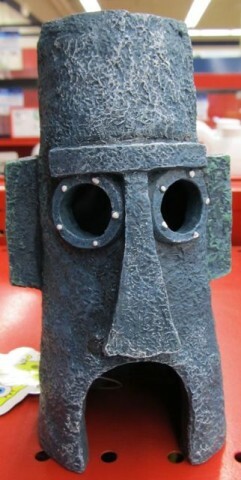 No, I began collecting tiki stuff a little before that, when it was just reasonably trendy. Sure enough, when I backed up a little bit, why, there was Spongebob’s pineapple house! And it was right next door, to the right – our right – of Squidward’s place – just like on the show. 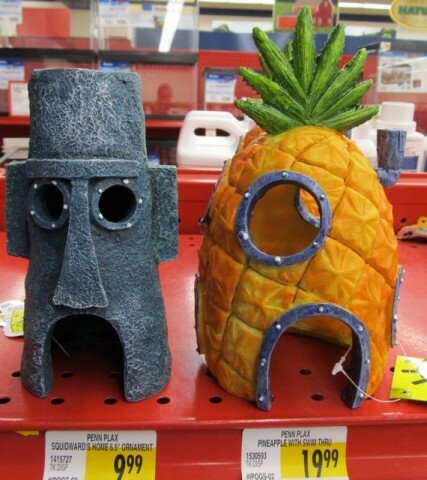 Happy accident or Spongebob-loving Petco employee with an obsession for accuracy? I think we’d both like to believe it’s the latter. 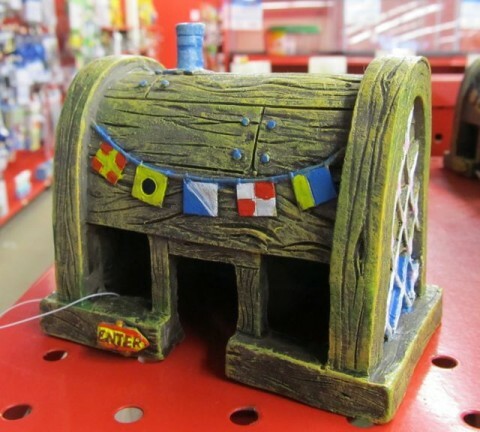 These aquarium decorations are from the good folks at Penn-Plax and they’re just two among a number of Spongebob decorations for the well-dressed fish tank. They’ve even got the Krusty Krab! 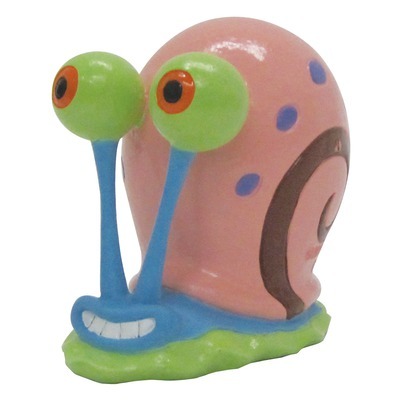 In addition to these buildings, they’ve also got little resin figures of all your favorite Bikini Bottom citizens – Spongebob, Patrick, Squidward, Mr. Krabs, Mrs. Puff, Plankton, even Gary. And what strikes me, and now you, about these decorative houses and the characters – is how very on-model they are. That is, how everything looks exactly as it does on the show! 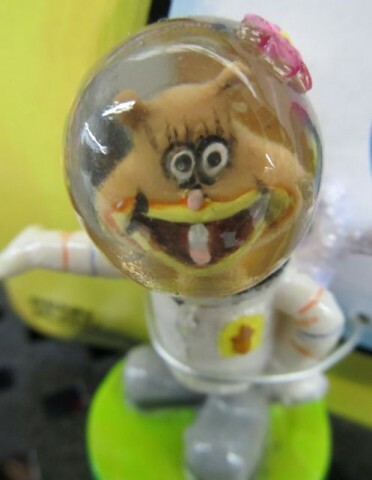 But let’s make this a teaching moment and use poor Sandy Cheeks’ ghastly, distorted countenance and the unbelievably agonizing pain we must assume she is experiencing as a warning to any of you less-experienced divers out there about the gruesome effects of surfacing too quickly. Posted by Ted on March 18, 2013, 5:52 AM.